Hello there friends, Renee here from Fantastic First Grade Froggies. How is school going for those who have started? I am busy moving into my new classroom, so I am here today with a quick post about a freebie I made last year. 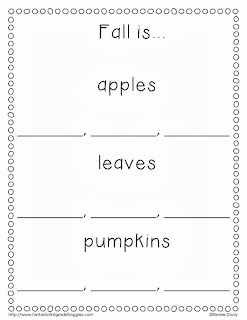 Fall is not too far away, so why not start planning now with a freebie. 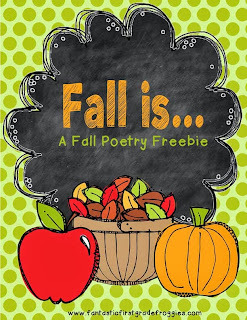 So here is my Fall Is freebie, I have been doing with my class for years. First I introduced what an adjective was. 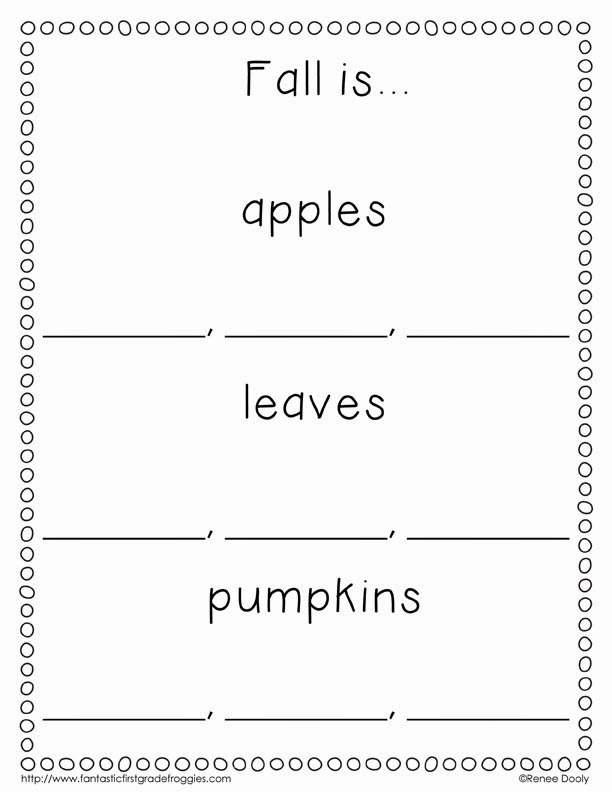 We used our five senses to describe leaves, apples and pumpkins. I explained that these are all adjectives (and I began to see adjectives in some of their writing this week. After brainstorming adjectives in small groups, we made charts from all three items. Next we, wrote our our Fall is...poems. We had also sponge painted construction paper is fall colors and cut our leaf shapes from the sponged art. Here is a sample of the finished product. It is great to see them using adjective in their writing now! To get your freebie, click below! Alphabet Learning Info ... for Parents and You! A Contest, A Sale, and A FREEBIE, Oh My!! !